I've been painting for a total of about 4 years, spread over a 20 or so year period. Thanks to my husband and a move to North Queensland I have had time to start painting in earnest and - lo and behold - it has become my passion and (with enough hard work) my profession. 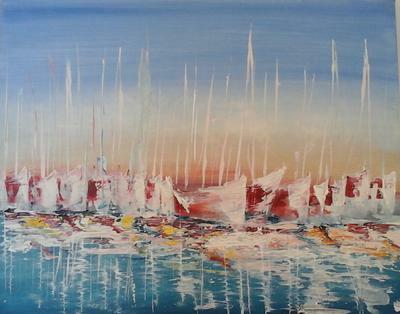 Have started playing with a palette knife recently, and am only just getting up the confidence to develop my own style.